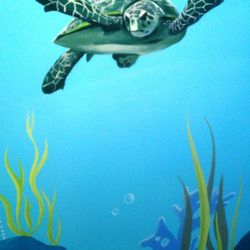 This 22ft long mural, above, took just 4 days to complete. 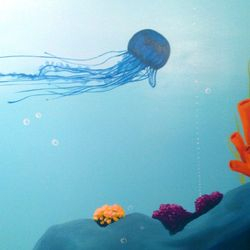 These two are variations on the same theme but on all 4 walls of a bathroom. 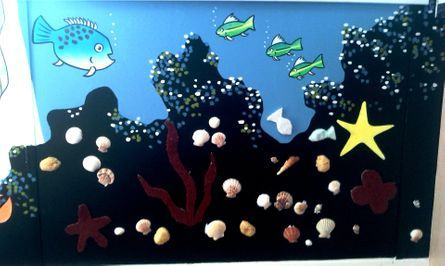 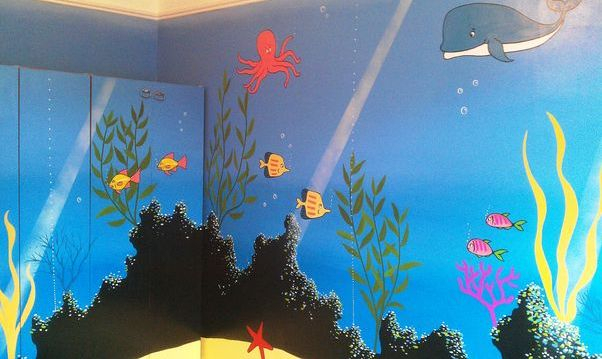 It could even feature popular cartoon fish as it does in this child's en-suite bathroom! 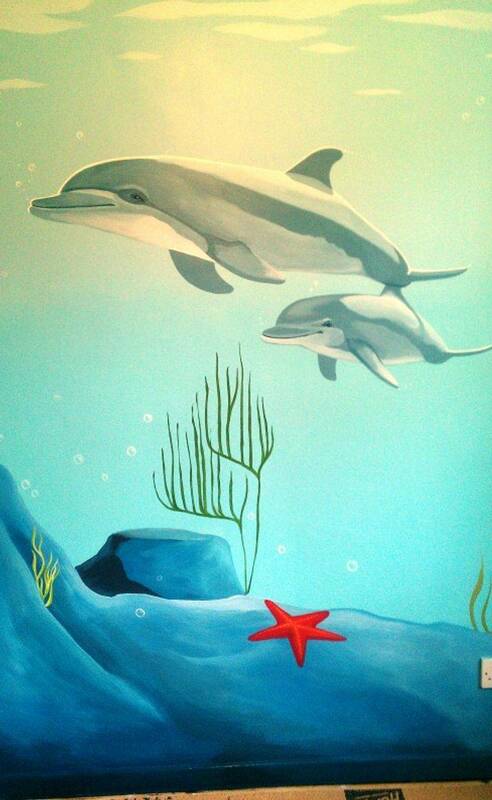 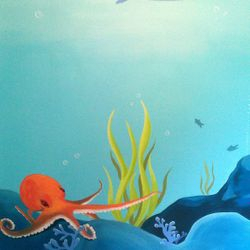 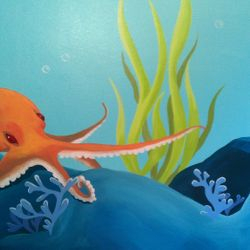 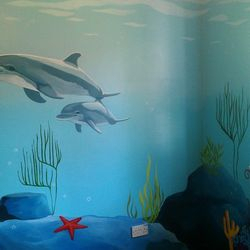 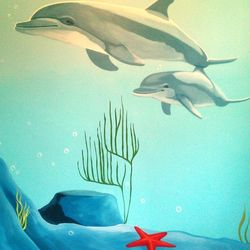 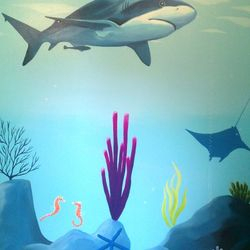 This young boy's bedroom (who's dad is a diver) was to be light and airy but with realistic sealife and coral. 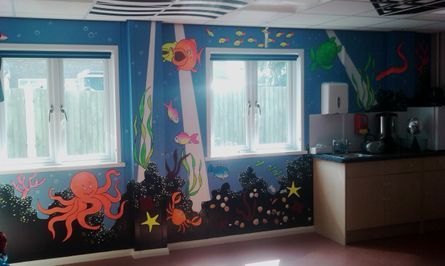 We spent four days completing this and the parents were blown away with the results!